How many researchers does it take to change a light bulb? And how many lives could they save by changing it? The answer to both questions is larger than you might expect. In the developing world, light bulbs might as well be insect magnets. The light they emit — particularly the blue wavelengths of LED lights — is attractive to a range of insects, drawing them out from the night and straight to people’s homes. Many insect species are attracted to light, which means that the type of bulb you use can actually increase the risk of catching vector-borne diseases. Six million people worldwide, mostly in Latin America, are infected with Chagas disease, which is transmitted by a bug that is attracted to lights. Sand flies, also attracted to light, infect people with a protozoan parasite responsible for 20,000 deaths annually. And mosquitos, which carry malaria, are documented to be attracted to light. A new study led by a USC environmental science professor and published in Philosophical Transactions of the Royal Society B has found that what matters most isn’t just how bright your bulb is, but what color wavelengths it gives off. Future LED bulb designs could be customized to be less attractive to specific insect species, said Travis Longcore, associate professor of spatial sciences at the USC Dornsife College of Letters, Arts and Sciences. The white light given off by bulbs is attractive to all insects, but “white” isn’t actually a color — it’s a combination of light of all colors. Different insects are sensitive to particular combinations of these wavelengths. Blue, violet and ultraviolet wavelengths are especially attractive to moths and many other insect groups; additionally, they’re also disruptive to human circadian rhythms, meaning they can actually interfere with sleep patterns. With this in mind, Longcore and a team of his former students from UCLA tested to see if they could mitigate these effects as part of a research project with Philips Research in the Netherlands. Their primary goal was reducing the number of insects an LED bulb can attract while still maintaining white light for indoor use. Collaborator André Barroso, a senior scientist at Philips, provided the bulbs. This is where lighting meets health and well-being. “For the purpose of this study, we created unique and one-off LED lamp designs that can be customized to emit different color wavelengths to reduce the attraction of insects,” Barroso said. “This is where lighting meets health and well-being. The special bulbs were tested against off-the-shelf commercial LED bulbs, compact florescent bulbs and a control with no bulb. Longcore and his team fixed each bulb over soapy pan traps in several Los Angeles County sites: two locations in the Santa Monica Mountains represented rural conditions, while UCLA’s Mildred E. Mathias Botanical Garden stood in as an urban test site. In just over a month, they collected 5,579 insects in the traps. 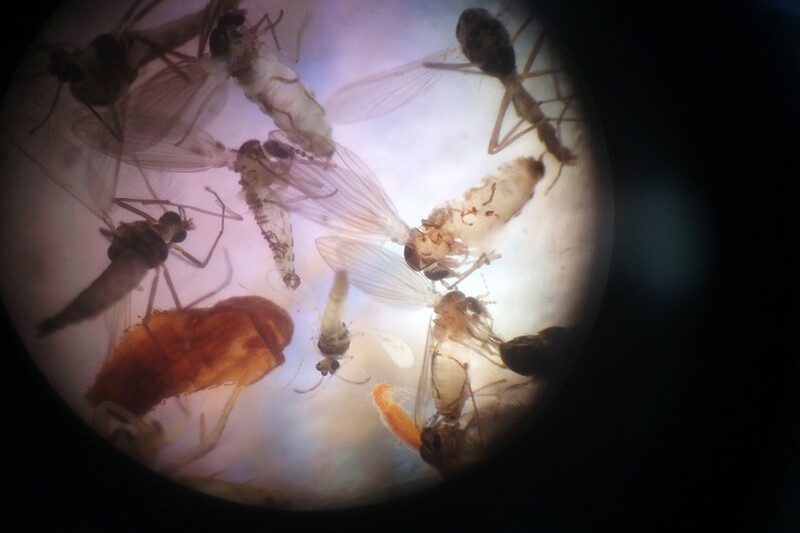 The order Diptera, which mosquitos belong to, represented 67.5 percent of all the insects caught — a good sample size considering the implications the experiment could have on public health. What stood out to Longcore and the research team was that the housing of the customized lamps actually allowed more light through than the housing for the commercial, off-the-shelf LED bulbs. But despite the customized bulbs being brighter, they attracted about 20 percent fewer insects. For places in the world where glass windows and screens are uncommon, reducing insect attraction to indoor lights is a big deal. The study pointed out that more research is needed on how to best customize LED bulbs to reduce the attraction to as many insect species as possible. Malaria, leishmaniasis and Chagas disease are all deadly and affect the poorest regions on Earth; malaria alone is estimated to kill 584,000 people per year across the globe, according to the World Health Organization. Philips Research Europe provided the customizable LEDs and in-kind support for the study.